How to treat a scar with Bio-Oil / Gee Whiskers! There are certain products that I have shared my life with. They are ones that have always been in my households and used by me and my family members. Bio-Oil is one of those products. As a child, my mom would use Bio-Oil on our scrapes and wounds to help with preventing scars In my teenage years, I used this to treat my stretchmarks. I still use Bio-Oil today to moisturise my skin and prevent further stretchmarks - especially now that I am more active and losing a bit of weight, I don't want to risk getting more stretchmarks. 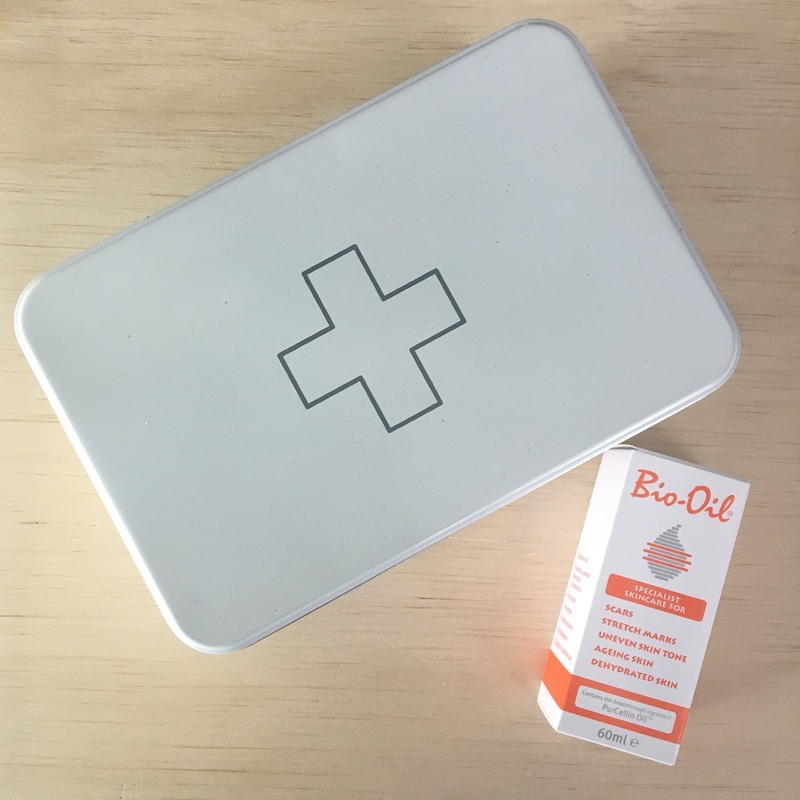 Bio-Oil sent a bunch of bloggers a great medical kit to treat wounds and scars. One thing I really loved about the drop was that it had some really great information on how to properly treat scars. Although I don't usually share this type of information on my blog, I have seen my parents and sister go through operations the amount of effort that goes into treating a wound to prevent a nasty scar is actually really alarming. Apply a wide MicroporeTM tape along the scar to help support and flatten it. Leave the tape on for up to five days and change it only once it starts to peel off. You can bath, shower and swim as normal. Be careful not to pull the tape off prematurely, as this may strip the skin and cause inflammation. Massage* the scar with Bio-Oil, whenever the tape is removed and changed. Place a few drops of Bio-Oil on top of the tape. As it is porous, the tape will absorb the oil. *Massage is not recommended for keloids as it stimulates cell renewal, encouraging tissue growth. For non-surgical scars where taping is not applicable, massage Bio-Oil into the area in a circular motion, twice daily for at least three months. Younger scars have a greater chance of improvement within a shorter time period. Only apply Bio-Oil once the wound has healed, and never use on broken skin. Bio-Oil is available throughout the country in 60ml (R89.99), 125ml (R129.99) and 200ml R189.99). A bottle lasts incredibly long because you only need a few drops at a time.